Why Shepherds and Wise Men? Have you ever wondered why it was that shepherds and wise men came to see Jesus following his birth? 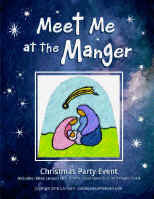 Why didn't tax collectors, doctors, or farmers meet Jesus at the manger? 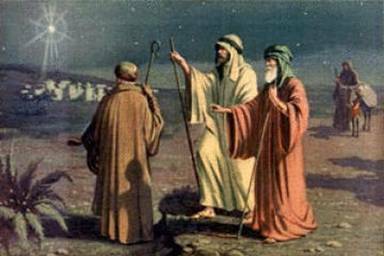 The shepherd and wise men narratives are found respectively in Luke 2:1-20 and Matthew 2:1-12. Some have speculated the shepherds and wise men represent the spectrum of humanity: the shepherds symbolizing the poor and uneducated of society, while the wise men stand for the rich and well-read; this may be true, but could they also hold prophetic meaning? Consider this, nothing in Scripture is written as an aside; everything has significance. Therefore, might it be that the shepherd narrative points to the mission of the newborn babe? The prophet Ezekiel spoke of a day when the Sovereign Lord would remove the shepherds of Israel—the leadership—and hold them accountable for not caring for his people. He would replace the wicked shepherds, who cared only for themselves, and become the Shepherd to his people: "For thus says the Lord God: 'Behold, I will search for my sheep and will seek them out. . . . I myself will be the shepherd of my sheep . . .'" (Ezekiel 34). The nativity story in Luke tells us the shepherds were in the fields nearby watching over their sheep. Undoubtedly, some of those sheep would later be sacrificed in the temple. Is this not an echo of Jesus' mission? He would become the Good Shepherd who "lays down his life for the sheep" (John 10:11). He is "the Lamb of God who takes away the sin of the world" (John 1:29). Could it also be that the wise men narrative points to the nature of the baby. Matthew tells us of wise men who calculated the exact timing of when the Savior would be born; they knew the answer would come in the night sky. They were learned men who knew the Scriptures. They were looking for hidden things. They were seeking to understand the mystery of this great Light spoken of in Isaiah: "The Lord will arise upon you, and his glory will be seen upon you. And nations shall come to your light, and kings to the brightness of your rising. . . ." (Isaiah 60:1-3). Is this not also an echo of the very nature of the baby in the manger? He is the "'True Light' . . . the One in whom are hidden all the treasures of wisdom and knowledge . . . For in Christ there is all of God in a human body" (John 1:9; Colossians 2:3-9). Sometime later, possibly even two years later, the wise men brought special gifts to Jesus of gold, frankincense, and myrrh (Mt. 2:11). But why are these gifts important and why would Matthew mention them? Let us think of how they were used to determine if they hold prophetic significance: Gold was associated with kingship (1 Kings 10). The High Priest's vestment was made with gold (Ex. 28), as well as furnishings in the temple (1 Kings 6:20-22). Frankincense was an ingredient in the sacred anointing oil and used in sacrificial offering and as a fumigant during animal sacrifices (Ex. 30:34; Lev. 2:1; Ex. 7). Myrrh was also used as an anointing oil to anoint the Tabernacle, the Ark, the table and all its instruments, and the washbasin and its pedestal. A mix of Myrrh was used to anoint Aaron and his sons—the Priests; it was never to be used on anyone other than the Priests (Ex. 30:22-33). Do these three gifts not also point us to the nature and mission of the baby in the manger? Yes! This baby—this Jesus—became our High Priest, our Sacrifice, and our King who came to establish an everlasting kingdom (He. 9; Jn. 19:39-40; Lu. 1:32-33; Rev. 11:15). Jesus, our Messiah, is coming again in our lifetime! He is either coming for us one-by-one in our deaths or in the clouds for all to see. As we meet at the manger this Advent season to celebrate his first coming, let us remember the nature and mission of this baby and be inspired anew to go tell the rich and poor—and everyone in between—God's good news message of salvation! Teach the Shepherd and Wise Men narratives to children. 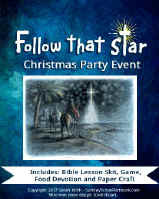 Check out our Christmas Party Events: Meet Me at the Manger and Follow That Star.